Prominent & Leading Manufacturer from Bengaluru, we offer battery charger. 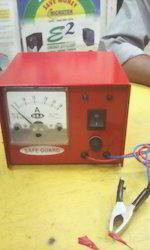 Battery charger with amps meter, boost & trickle charge system, cutoff ,etc. can charge up to 200 ah battery.call for prices.